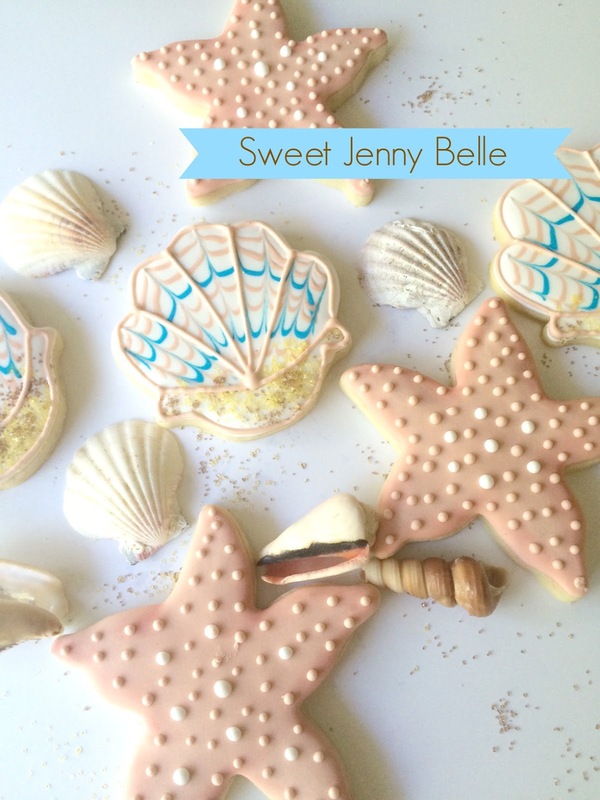 Today I'm diving into the softer palette of the ocean in my scuba themed decorated cookies. When I think of the ocean and beach, I think of soft sand and searching for shells. The color palette is muted tans and palest blues. This color palette and imagery is so calming, isn't it? You can almost hear the waves crashing. And there is something so beautiful about a starfish. This sweet guy could be perfect in bright hues for Little Mermaid or Finding Dory themed cookies too. 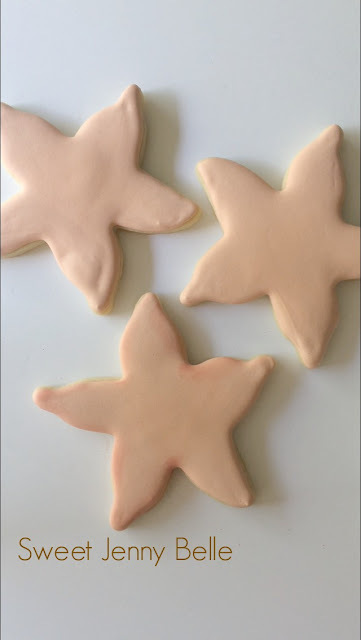 Want to learn how to make these pale beauties? Petal crafts color dust in Palette B - I think this is the cyprus color. The chart is crazy! Flood the cookies in sandy icing and allow to dry 8-10 hours or sit in the dehydrator for 10 minutes at 90 degrees. 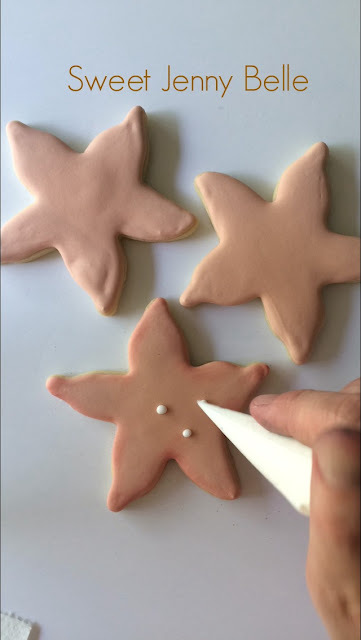 Need a good royal icing recipe, click over here! When the cookies have completely set, you will darken the perimeter of the cookie with petal dust in the cypress shade. This is a dry brush technique - though if you want it to be darker, you can dip your brush into vodka or clear vanilla. 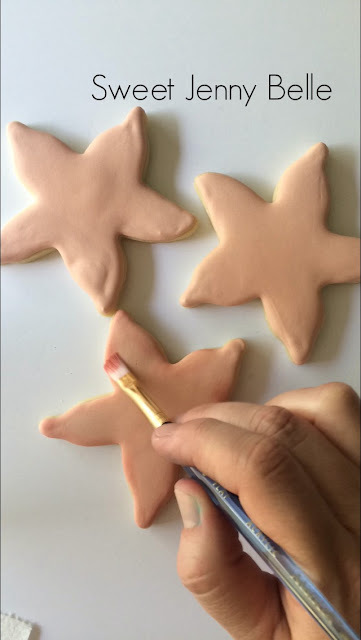 Using the white flood, add a few medium sized dots in the center of the starfish. You can be sporadic like me or choose a fancy design. 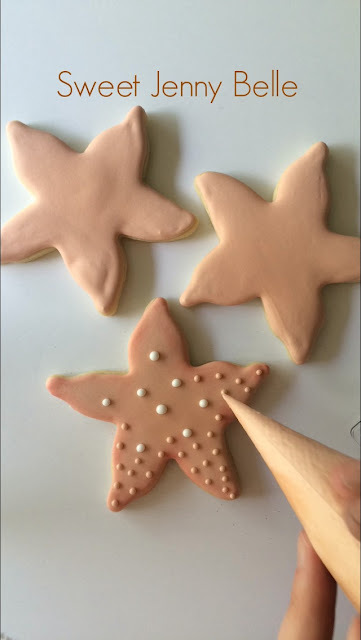 Fill in the rest of the starfish with smaller sized dots in the sandy flood icing. And that's it - gorgeous soft beach themed cookies. Have any questions, let me know! Want to see those shells created? Jump on over to my Instagram page. Come back tomorrow more the whole Scuba Dad cookie set!